FastStep Badminton Academy offers junior badminton coaching for beginners, intermediate and advanced players in Haywards Heath and Crawley. The sessions provide an energetic and enjoyable way to learn badminton or improve your skills. Congratulations to all those players called up to represent the county juniors and seniors in Sussex. 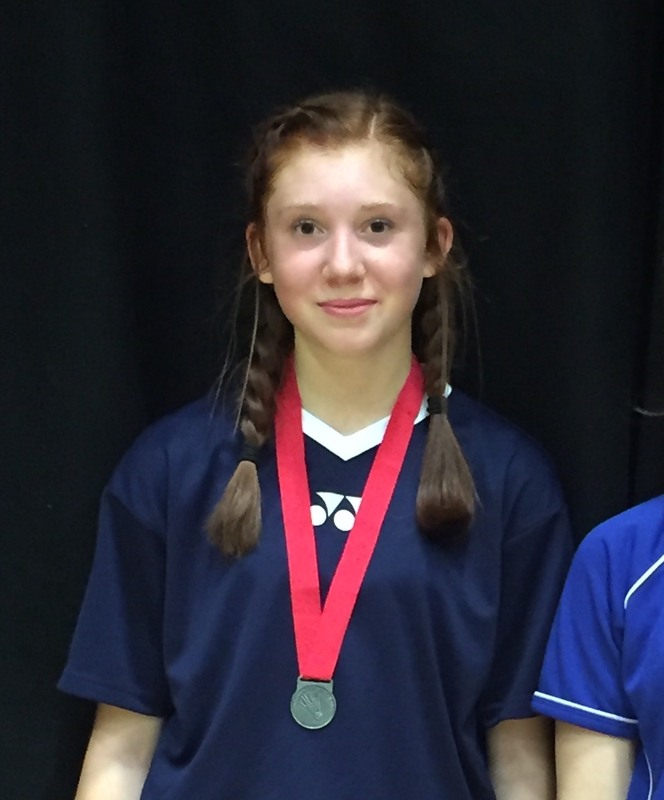 Early season tournament for Rebecca at Hertfordshire U15 bronze and she obtained Silver after narrowly missing Gold with 21-19 score. Well done Rebecca. Next time, Gold! Its a great start for the season! Sussex holds regular championships for juniors. Annual Sussex Senior Restricted Tournament is now advertised Sat 30th Sep and Sun 1st Oct 2017 and entries open for those interested. Top, older county level juniors may wish to enter for experience although your entry may not be accepted. If unsure please speak to your coach or Zeyar. Click here to download the form and see carefully all the rules and regulations. It is now September and lots of new exciting things are happening this year within the Academy. I have taken a well earned break over the Summer and hopefully you have too. Over next few weeks, we will be sharing all these new things with you. Keep a look out. We can’t wait for the trainings to start. Entry is open for the 2017 Sussex Rising Stars junior badminton tournament which will take place on Sunday 25th June at the Dolphin Leisure Centre, Haywards Heath. This is a tournament aimed at up and coming players looking to get some tournament experience. Regular county team players (who have played 2 or more Sussex matches) are excluded. You can download the entry form here but hurry as entries close on 20 June.